Check out our shiny new website!!! We have done a complete overhaul and redesign of our website including new sample reports and videos, updated information, updated referral information, and a whole new look. We think it’s pretty spiffy. Check it out and let us know what you think. Who are we and what is a sewer inspection? Check out this quick informational video about who Sewerline Check Professionals is, and what exactly we do. Jason in our office is hilarious… he made a sequel to the original “Pipe Dweller” video we put on youtube a couple years ago. Mice in pipes, who knew it was so funny. What’s Lurking in Your Sewerline?! Have you ever had that crazy fear that cockroaches or snakes were going to come in through your shower head or up through your toilet somehow? Well here’s a little guy we found on a sewer ispection. He’s pretty cute on film but I sure wouldn’t want him in my shower! 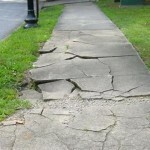 Who should pay to repair our damaged sidewalks?? Show Me the Money: Sidewalks. This video (Link above) from KCET a few weeks back is extremely interesting and informative on the subject of LA City Sidewalks in regards to damage caused by roots (which also tend to cause Sewer Problems) and who should be responsible for the funds necessary to repair our many cracked and broken sidewalks… and who should be liable for accidents? Currently the city is spending 5 Million a year in injury related lawsuit costs! Should the LA City Council be responsible? Does the responsibility belong to homeowners (who currently are not paying for these repairs?) 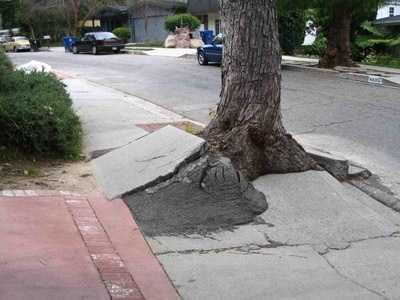 It seems that the first step should be to apply to the “Shovel-Ready” program to see if we can recieve Federal Stimulus funds in order to repair some of the worst sidewalks. Please feel free to weigh in here with any thoughts or comments about the topic! At any rate, those of us in the real estate community should certainly be aware of the issue and fight to protect homeowner rights. This is the first of many posts for the new Sewerline Check blog. We are currently gearing up for some brand new media and marketing plans, this being one of the first. Just to tell you a little bit about us, if you haven’t read the “about us” section yet, we are a video sewer inspection company in Southern California serving home owners, home buyers and sellers, commercial properties, multi-family properties, and home owner associations in need of accurate information regarding their sewer system. We are very excited for what’s to come for Sewerline Check over the next few months, so stay tuned!